Renegade Craft is just about the coolest thing out there, if you ask me. 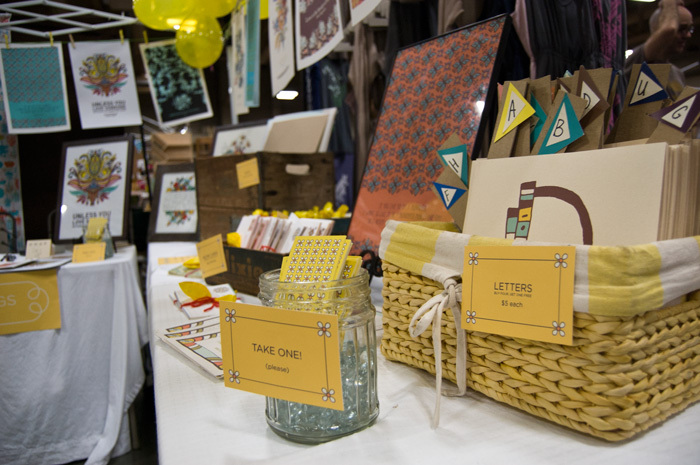 They support artists and crafters who want to make a living doing what they love. They support and promote their artists. 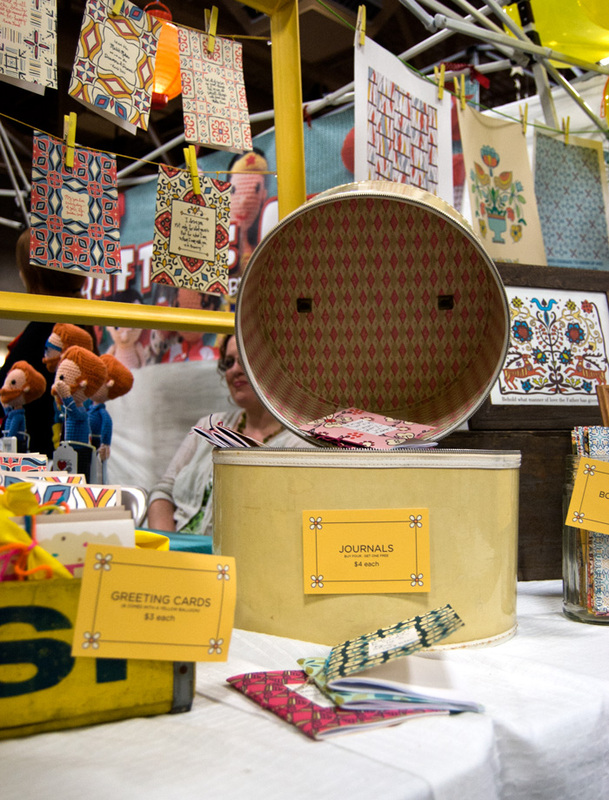 They are the Neiman Marcus in terms of quality and excellence for craft festivals. I believe every other craft festival should follow the business model of Renegade. I really do. They do it right. And they bring in the best of the best artists and craftsmen. I am still so honored that I had this opportunity to show in Austin. I was so nervous about doing it, because there are SO many great booths there. But you can’t stay in your corner for forever. You have to get out there and live. So this was it for me. I was scared but I did it. I met so many amazing people. My booth stayed really busy. I even got to meet the Renegade team!!!!! They are rock stars to me. And they are some of the nicest and most encouraging people. I will post later this week about all the cool artists I’ve become friends with. 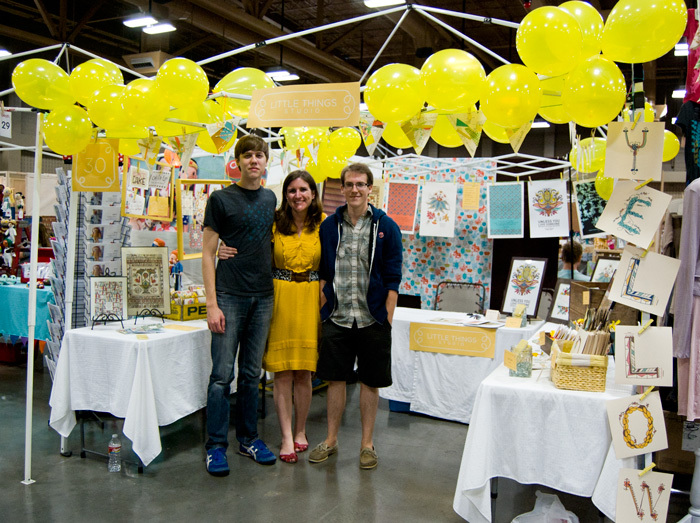 For now, I wanted you to see photos my booth setup with all my yellow balloons. And I made friends with Rae (her mother is the Gleeful Peacock). She was manning her mother’s booth while I was on a break browsing around. We started talking, and I immediately knew this was my kind of girl. She hung out with me at my booth all day Sunday. She kept me laughing the entire time. She’s my new pen pal. And this is the awesome Sarah Spies from Renegade. She is so cool, y’all. Darn, I wish I could have been there! Looks FANTASTIC. Course I expect nothing less. 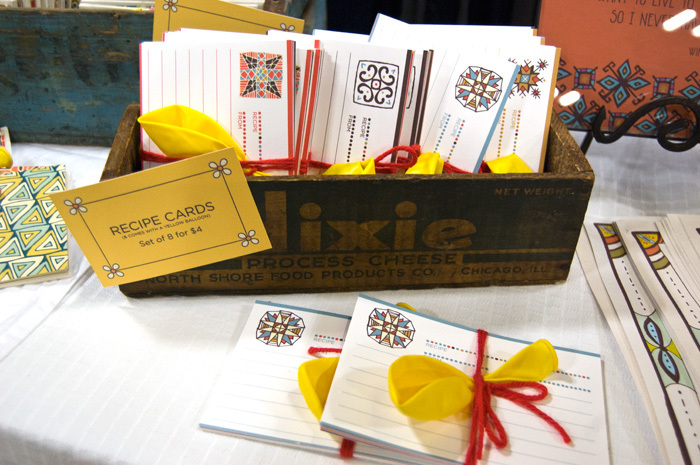 Great idea with the recipe cards, always happy to read of your success. Loved your booth this weekend!! LOVED you booth! It was my fav BY FAR! and it was fun to meet you 🙂 I will be ordering something amazing from you soon! LOVE it all! I am so glad that I found you and your work. Like so many others, I really enjoyed your booth at the Austin show. I particularly loved the individual alphabet letters you had…but I don’t see those available for sale on your Etsy page…are those something I can order from you? Thank you Jackie! I’m hopefully going to start putting those up soon! I just have to do a few more things to get them ready for online – I’ve resized the prints so they are easy to frame (I had a lot of requests for that) so that’s what has taken me a while to get done! Please keep checking back! Hopefully this week, more likely next week!